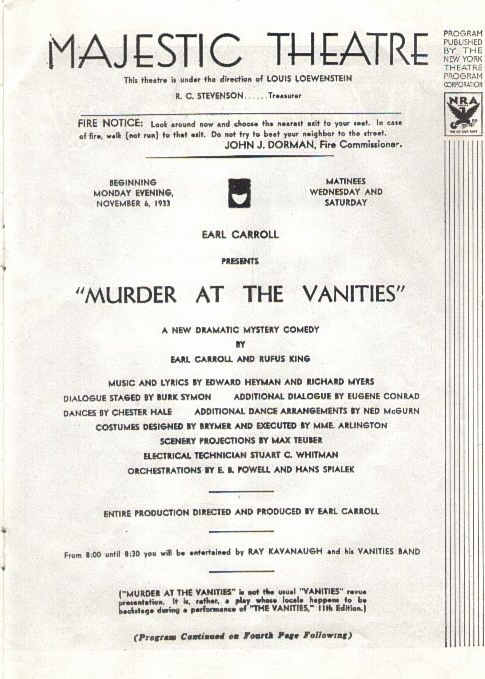 “Murder at the Vanities,” with or without a bow to the scenic artists’ union, is expected to begin a preliminary engagement in Philadelphia next week before arriving at the New Amsterdam sometime in September. 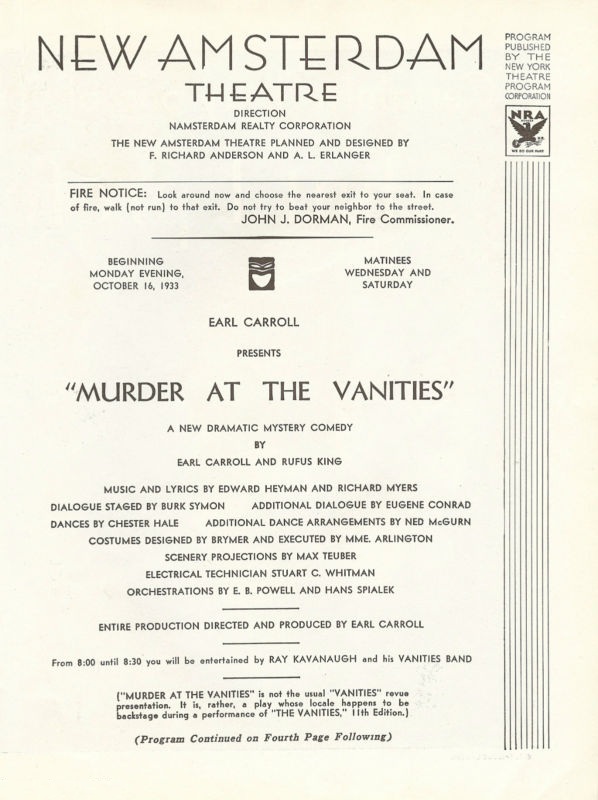 Basically, “Murder at the Vanities” is a mystery play, but the authors, Rufus King and Mr. Carroll, have embellished it with – well, the “Vanities.” The songs have been supplied by John W. Green, Edward Heyman and Herman Hupfield. 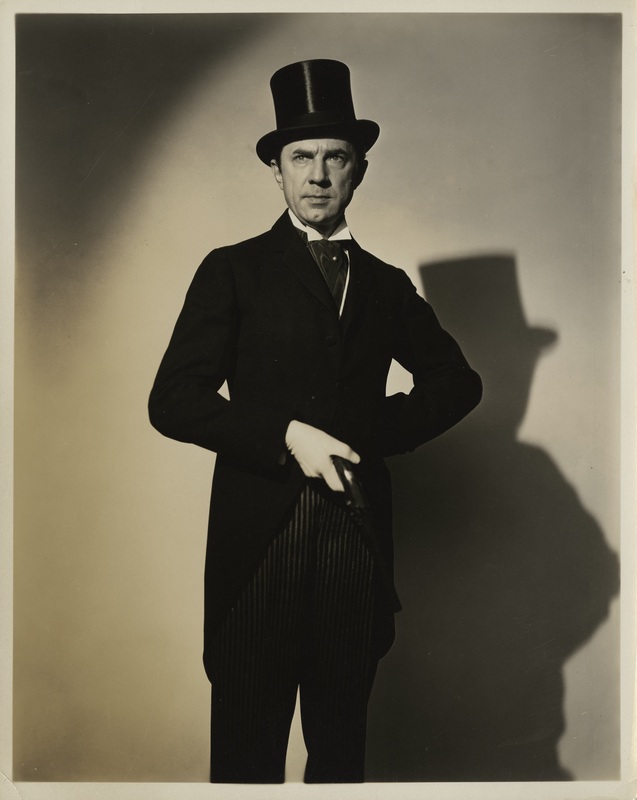 Players in the company will include James Rennie, Olga Baclanova, Bela Lugosi, Ben Lackland, Jean Adair, Billy House and Naomi Ray. 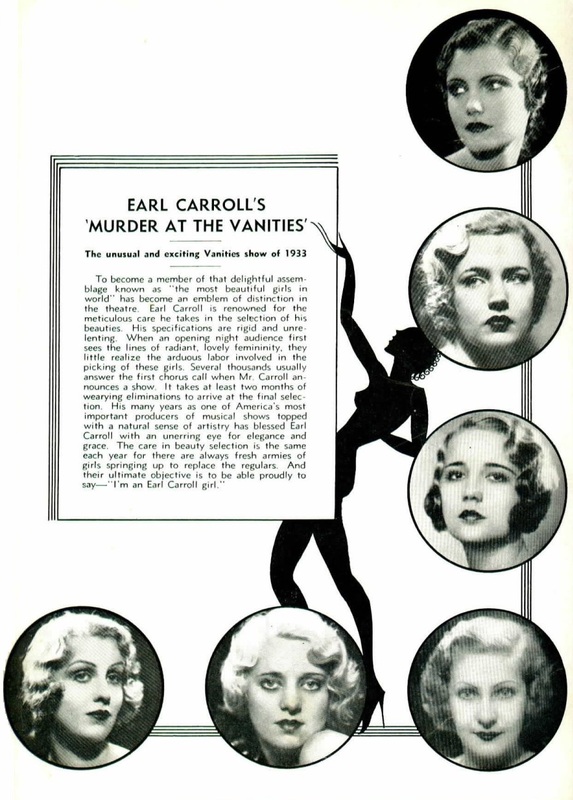 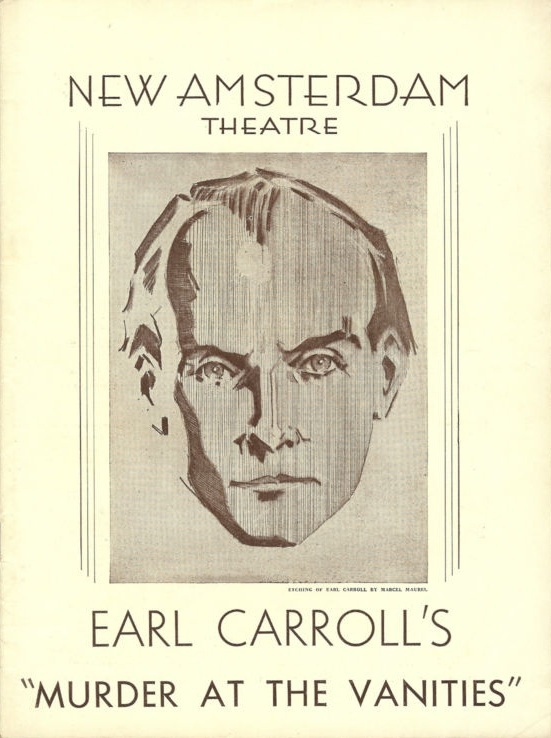 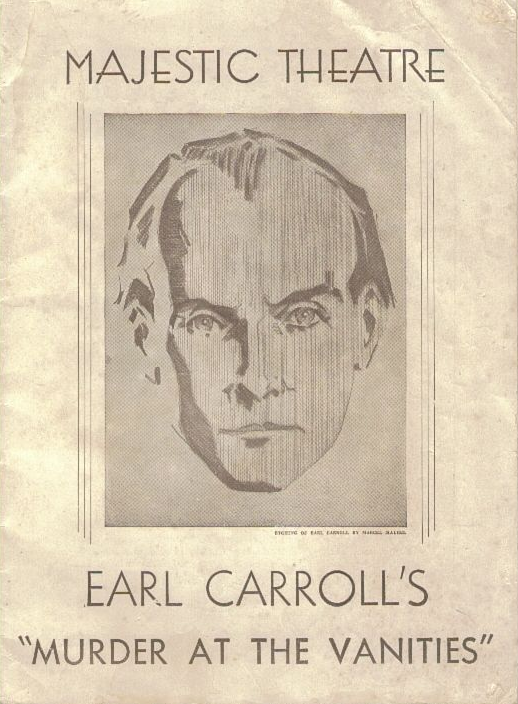 Earl Carroll will present his “Murder at the Vanities” at the New Amsterdam Theater tonight. 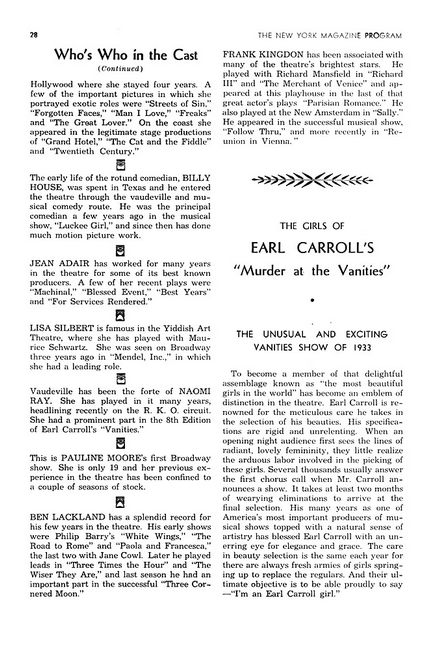 He is part-author, sharing the honors with Rufus King, who conceived the combination of murder mystery and musical show which this edition of the “Vanities” is heralded as being. 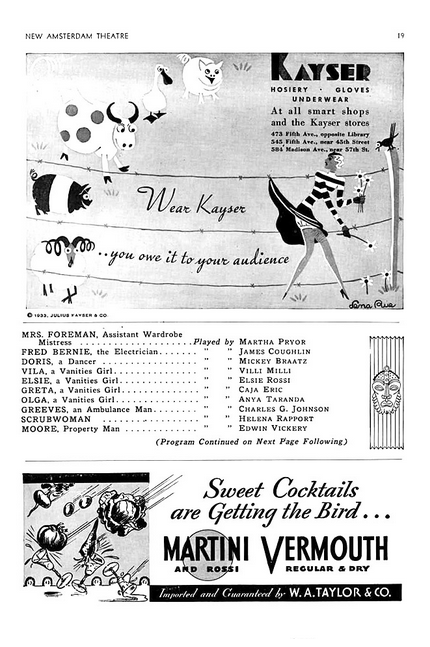 The revue section has been contrived by Edward Heyman, Richard Myers, Eugene Conrad and Stuart C. Whitman. 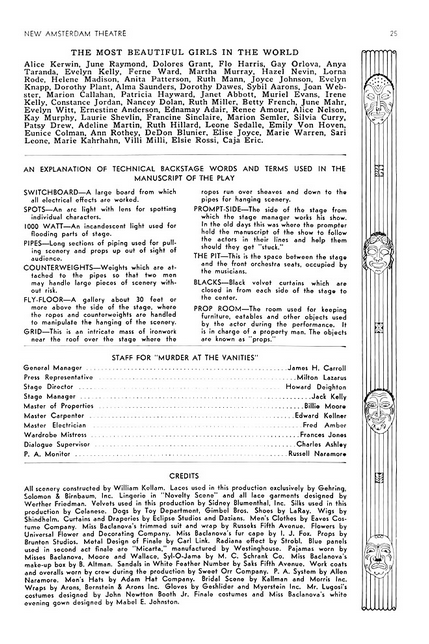 Chester Hale has staged the dances and there will be projected scenery by Max Teuber. 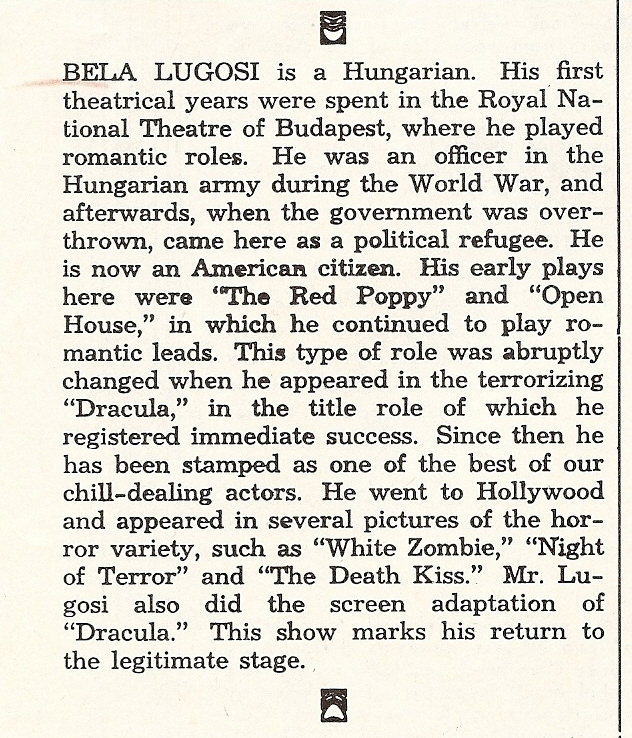 The principal actors will include Olga Baclanova, James Rennie, Billy House, Bela Lugosi, Jean Adair, Beryl Wallace and Ben Lackland. 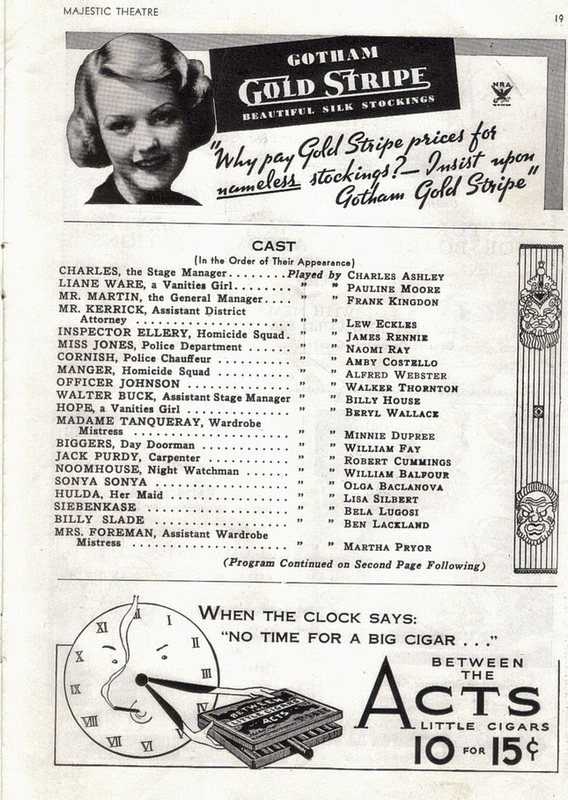 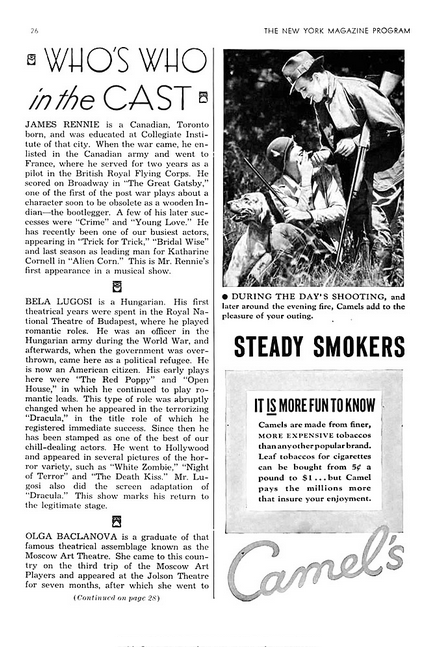 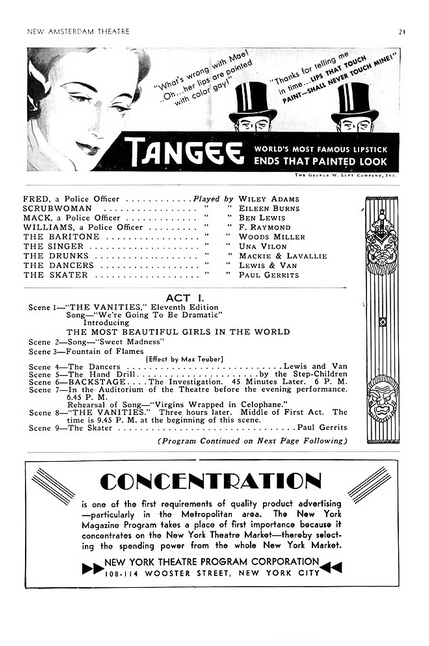 On November 17, 1933, Bela Lugosi, James Rennie, Minnie Dupree, Naomi Ray and Olga Baclanova performed a scene from Murder At The Vanities on WEAF’s The Theatre Presents.